Its Friday! Which means it’s time once again for the weekly roundup of my favorite pop culture atrocities, misfires and entertaining trainwrecks. This week’s theme: DVD Extras. It wasn’t until DVD was introduced in 1996 that there was a high quality home video format that was both user friendly and affordable. Laserdisc came onto the scene in early eighties and was loved by film buffs the world over, but the format didn’t catch on. This was mainly because, despite the different in quality, most customers were put off by the Paul Bunyon-sized discs that looked like records. The DVD format has not only outlasted them, but, in this age of Blue Ray, illegal downloading and internet streaming, they remain as popular as ever. This is due in no small part to DVD’s marketability. Producers expanded on the idea of the laserdisc and went further with it. They quickly learned that customers would shell out hard-earned money if more was included in the package than just the feature presentation. These special features–such as interviews, deleted scenes, commentary tracks and easter eggs–have become a prerequisite for most video releases. Nowadays, if the extras are omitted, it makes the DVD seem downright primitive. Do these features actually enhance the movies, TV shows or specials? Not especially. But do they lure unwitting fans into buying the DVDs, thus making the producers more money? Unfortunately, yes. 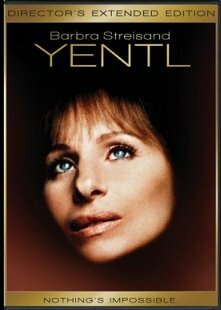 Barbara Streisand‘s intro for the recent DVD release of Yentl is fascinating for many reasons. She’s firing on all cylinders, including just the right amount of dramatic word emphasis, thoughtful pauses and bemused chuckles. How many takes do you think it took to make her appear this humble and misty-eyed while still seemingly awestruck with the blinding glow of her own cinematic achievement? Tens…hundreds? 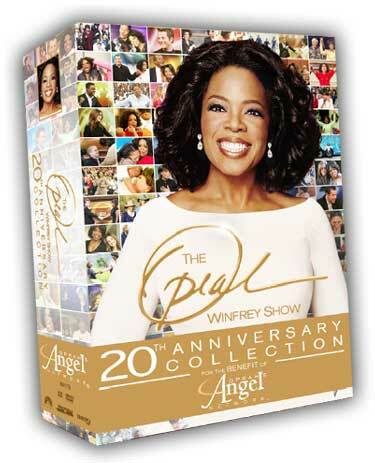 The disconnect between Oprah’s laid back on-camera style and the fact that she probably hasn’t pumped her own gas since before Reagan was re-elected may help to explain the thinking process behind the segment “Oprah’s Wildest Dreams Come True.” In her 20th anniversary edition DVD collection, the talk show empress offers valuable insight. “‘Wildest dreams was just that…it was wild!” she reminisces. Huh, ya don’t say? Following Oprah’s candid look back on the DVD is a vexatious montage of one of said segments in action. Despite the overabundance of people who deserve their wildest dreams made a reality (the terminally ill, crippled, abused, etc. ), just who is the lucky recipient of Oprah’s grand gesture? Why, it’s none other than Desperate Housewives star Felicity Huffman. And if there’s anything more cringe-inducing than seeing a Hollywood star get her extravagant wish fulfilled, it’s seeing her sing back up for Tina Turner. 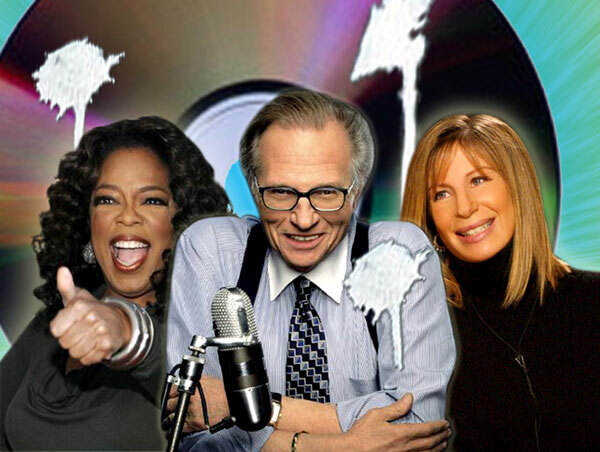 Larry King has got a lot of stories. He’s been in the business a long time and has interviewed countless celebrities, politicians and other public figures. King has shared some of those stories in his memoir, My Remarkable Journey. 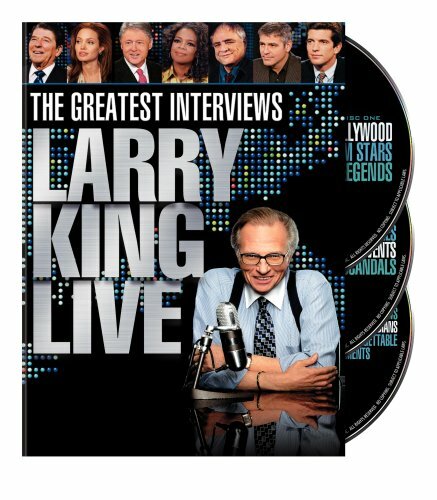 And he’s preserved his greatest interviews in his DVD series, Greatest Interviews (catchy title). If you ask me, they speak for themselves. He sits in a chair wearing colorful suspenders and chats with people. Enough said. Not for King. In an effort to make the DVD seem more exciting, he inserts a sweeping intro as well as random interludes to transition from one set of clips to another . These features clearly demonstrate why King’s delightfully off-kilter persona has always been an easy source of parody. He even feels the need to explain to viewers what “DVD extras” are.